Available at Clicks and leading retailers countrywide. 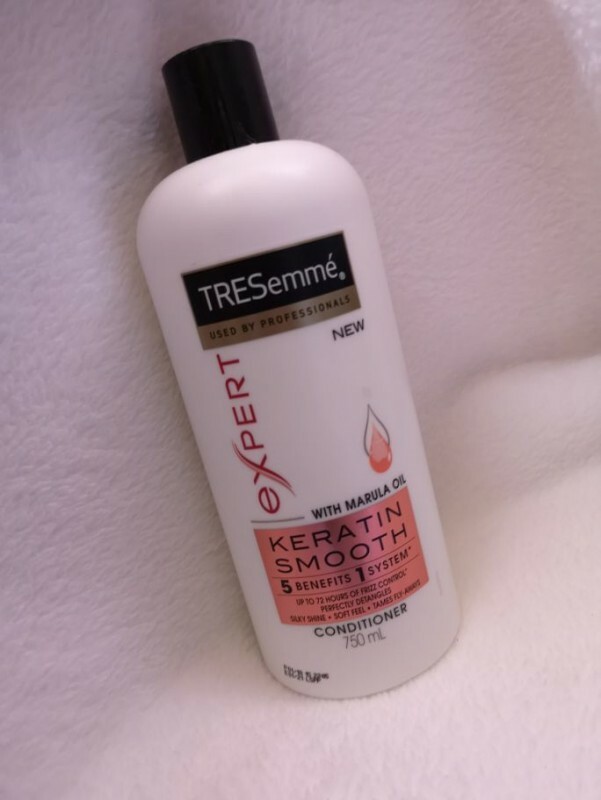 TRESemmé́ Keratin Smooth Conditioner is specially designed to fight frizz, detangle knots, boost shine, add silky softness, and tame fly-aways. leaves hair nice and soft. You also dont have to use alot of product at once. Would you recommend this product to someone else? Would you repurchase this product? This is a really great conditioner for my wigs. I usually use a generous amount of the product (although a little goes a long way with this product) and allow the hair to sit for about 20-30mins before rinsing the conditioner out. It leaves my wigs smelling great and really really soft and without fizz or fly aways. Also it’s not drying and the hair always has a good healthy shine to it. 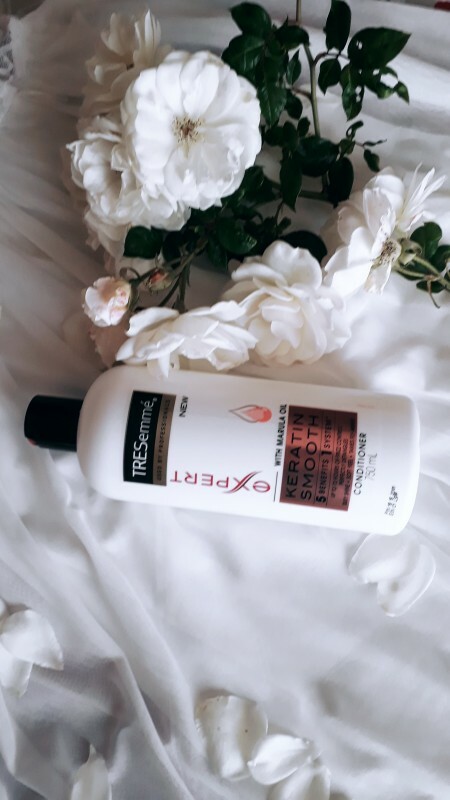 It does an amazing job for my dry and frizzy hair, I literally keep it on for a few hours for it to do the extra trick, it leaves my hair soft and tangle free , love love love it! The conditioner is thick and creamy and smells as heavenly as the shampoo. I think it also enhances the intensity and longevity of the shampoo’s fragrance. This conditioner has found a forever place in my hair care routine because it is the best conditioner I've used thus far out of all the products I tried (which is well over 30 because I love trying new things) so for this to be ranked number 1 says a lot about how much I love this conditioner. The smell is amazing, the consistency is thick and coats every strand and moisturises your hair leaving it feeling soft and frizz free. I have very frizzy hair which is tough to straighten. This conditioner made my hair smooth enough to stay straight for two days! Quite a feat for me. And at the price, it's an absolute bargain!!! Along with the Shampoo, this is my regular conditioner. It's affordable. It makes me feel confident in my chosen hair product. And I like the smell. It help for my frizzy fly aways, so I will recommend it to anyone. I absolutely LOVE this conditioner. Honestly, In my opinion, the conditioner works better than the mask. It has a thick consistency so it coats every strand with the moisture it needs, it smells amazing and it leaves your hair soft and shiny. I have no cons to this conditioner. This has to be my favourite product out of the whole range simply because it is so effective! I couldn't believe how smooth my hair became after applying the conditioner and it staying smooth even after rinsing it out. Since I'm in the process of transitioning to natural hair, conditioner is very important to me. This one exceeded my expectations, it treated both my relaxed and natural hair down to their last strand. It is definitely my new holy grail! It smells amazing too!!! Again I'd like to add that the conditioner smells just as good as the shampoo. Using these items individually makes a big difference to your hair, but an even bigger difference when using the whole range. Immediately after applying conditioner to my wet hair, I could feel it making my hair softer, as I have very dry damaged hair. I've used the conditioner once and already there's a difference in my hair. It's more soft and manageable. Definitely would recommend these products as they are affordable and great quality. 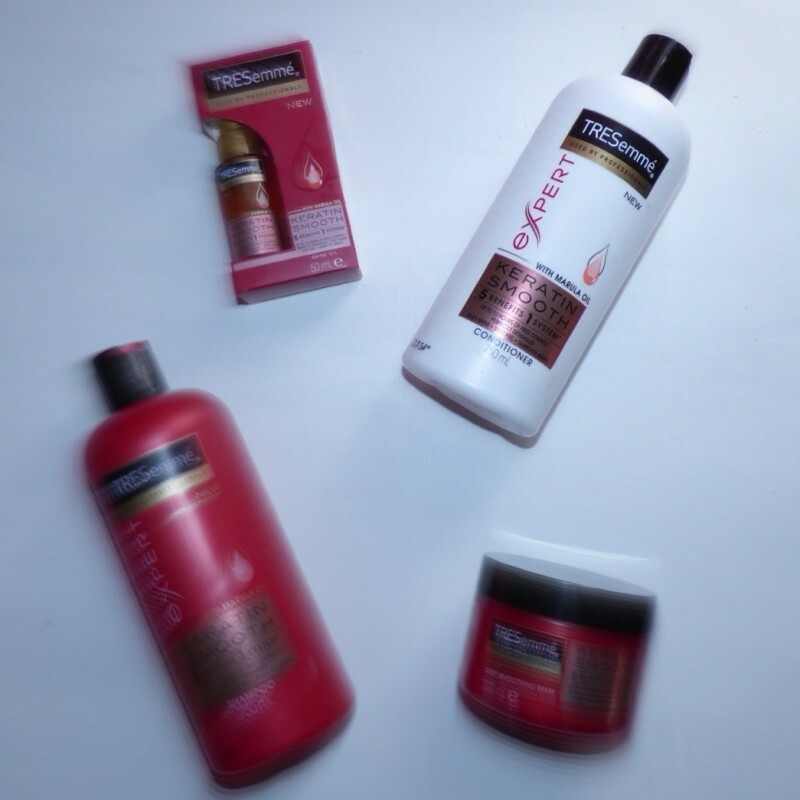 You can find TRESemmés products at Dischem or Clicks and I urge everyone with damaged hair to give these products a try. This conditioners smells really good, and I love how it makes my hair soft and beautiful. The conditioner is not that much different to the previous Tresemmé conditioners in terms of its effectiveness. It still works really well and does an amazing job at detangling and adding moisture to my hair. I also use it as a leave-in for my curly hair due to it not weighing my hair down. Not your usual oil infused conditioner that weighs down your hair after a single wash. No. 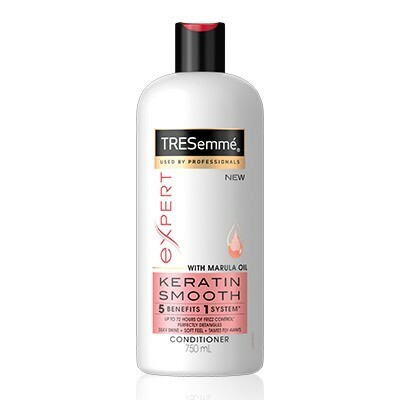 Tresemmès expert keratin smooth marula oil conditioner gently nourishes the hair from root to tip without the greasy look. I conditioned my hair for 3 minutes after using the expert keratin shampoo and I felt my hair detangle immediately. 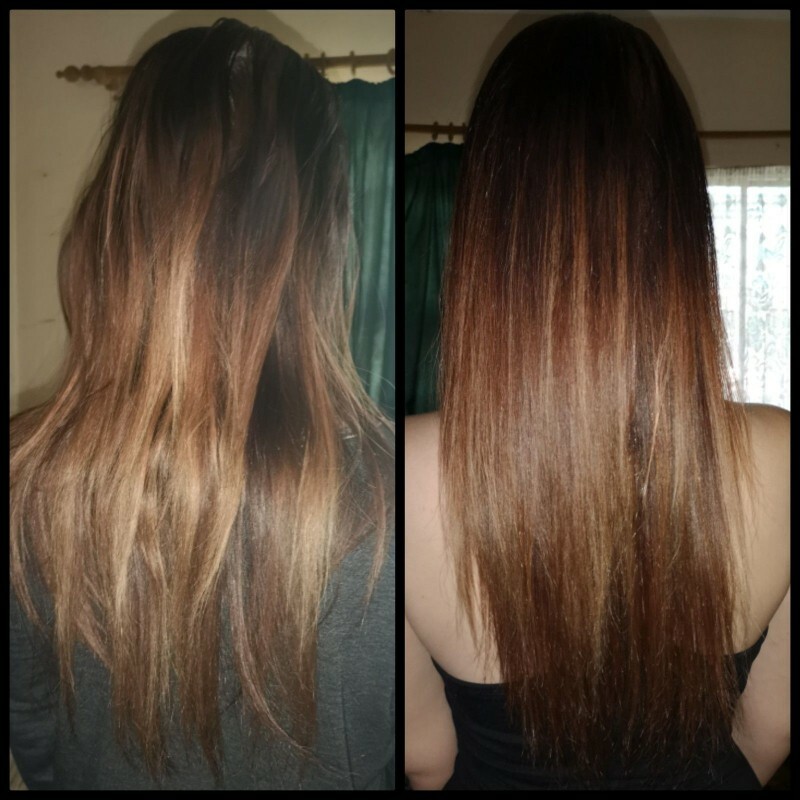 The results left my hair full of life , shiny , frizz-free and feeling silkier than ever.